At Manning Equine, we believe pre-purchase exams can help you make an informed decision when purchasing a horse. Whether you are buying a yearling with the intention of resale or an old campaigner to get you around the ring, knowing all your potential horse’s unique characteristics and how to manage them can make your time together that much more enjoyable. A pre-purchase exam at Manning Equine is customized to the purchaser’s needs. 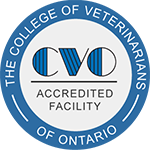 Our standard pre-purchase includes physical (ocular, respiratory and cardiovascular), musculoskeletal and soundness examinations, flexion tests, patellar fixation test and neurological assessment. Ancillary tests (radiography/ultrasound, endoscopy and laboratory tests/drug screening) are available at additional costs. Examinations can be held in the comfort of the horse’s farm, or on site at our clinic. We handle many out of the country requests and our clinic is equipped to supply exam findings and ancillary exam reports to the prospective purchasers and their veterinarians. A full written repot, a copy of the radiographs and a copy of any laboratory tests performed will be sent in a professionally designed pre-purchase portfolio for the purchaser’s records.